Essential oils are not oils as we know them since they do not contain glycerides of fatty acids present in vegetable or nut oils. 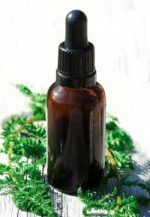 Characteristic components of essential oils are terpenes, typically obtained by distillation and containing fragrance of the plant or other source from which they are extracted. It takes a lot of “raw” material (plants or flowers) to produce essential oils. For example, it takes approximately 60 roses to create a single drop of Rose essential oil and about 10,000 roses to fill a thumb-size bottle (about 5 ml). 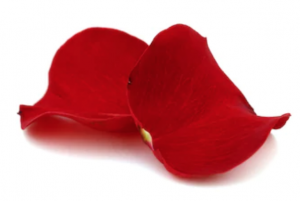 This makes Rose essential oil rather costly. Thus, to improve their bottom line and offer more expensive essential oils at lower cost, some companies resort to adulterating essential oils by diluting them with vegetable or nut oils, even propylene glycol, while still advertising them as 100% pure. At Sage Abbey, we firmly believe the product quality should never be compromised to improve the bottom line. As such, we only obtain the purest essential oils for use in our creations. Thus, many suppliers don’t make the cut even if they offer lower prices on their essential oil products. We ensure our suppliers’ essential oil-related certifications are available, accurate, and up-to-date and the purity of the oils is tested before introducing them into our carefully crafted batches. These purity tests are called gas chromatography–mass spectrometry or GC/MS. When an essential oil company performs GC/MS testing, they are transparent about it. For example, each bottle of EO has a batch number. When you search the batch number number on their website, it displays a Certificate of Analysis (COA) with the detailed essential oil information and its component testing. So how can you know if an essential oil is pure and not diluted with a vegetable or nut oil? For starters, the simplest DIY way is to do a “white paper test.” Simply put a drop or two of each essential oil onto a blank sheet of white paper. Wait until the paper dries. If the paper dries clear (without an oily trace), your oil is pure as the esters will simply evaporate. If an oily residue is left behind, then your oil is likely adulterated. Note that some essential oils may take hours or several days to fully evaporate and dry. Exceptions to this test are the following essential oils: German Chamomile, Patchouli, Sandalwood, Vetiver, Myrrh, Jasmine, and Rose. These will leave a residue as they are naturally heavier in consistency and deeper in color. It is also true that the essential oil companies are getting smarter in the way they adulterate oils, making it harder to detect with simple tests like the one above. However, trusting brands that have been around for a long time, that grow their plants on small farms in indigenous locations, that choose organic and/or wild crafted plants when available, that test their products and are transparent about those tests, and that provide EO usage guidelines are good indicators that an EO company is reputable and a good choice for your EO needs. Those are the essential oil suppliers with whom we at Sage Abbey choose to work. I just tried this truly fantastic elixir this summer on my super sensitive skin. I am always hesitant to alter my skin routine but this was different! The product is really all it promises and more. My skin literally soaked it up quickly without irritations and other issues I often experience. ( even with high end brands) My experience started with likening the simple, apothic tincture bottle, then the really yummie scrumptious smell, and ended with my skin absorbing the serum. And really, it did just that, there was no residue, or oiliness at all! My skin felt really nice afterwards, no tightness, just soothed, and the smell gently lingered on. I felt the benefits about a week in, apart from me loving the product instantly, my skin felt less temperamental and after a month I swear I could see it looking plumper and more even. I am a born skeptic but this really delivers, ~I am buying my next bottle as we speak!